Let me be clear: the post-superhero action sci-fi movie Push is not good. At all. But it was, in its way, educational. As the saying goes, you can learn more from a bad movie than a good one (okay, might not be a saying, but start saying it in conversations about movies and see if it sticks). Though this is a bad movie, it does have a couple things going for it. First, it gives me hope that if Dakota Fanning can make her way through her teenage years without getting fucked up, she might become one hell of a good actress one day. Follow Jodie Foster, Dakota – not, well…everyone else. Second, it reminded me to recommend director Paul McGuigan’s cool period crime movie Gangster No. 1, with Paul Bettany literally doing his best Malcolm MacDowell impression. Anyway, my reason for renting Push, despite it feeling an awful lot like last year’s awful Jumper – good director, superpowered ne’er-do-well, ominous black guy chasing him, and even the same dead-of-winter release date/dump – was simple: I wanted to see if the post-superhero genre had any legs outside of comics. By “post-superhero,” I’m referring to a permutation of superhero stories that uses some of the trappings – normal folks with superpowers, in particular – while dropping others, like costumes and calls to destiny and arch-nemeses, in order to tell a story that might not fit in a standard superhero narrative. The subgenre’s been around in comics for years, represented by books like Starman, Hitman and Planetary. As TV/movie audiences have gotten comfortable with the trappings of the superhero genre over the last decade, we’ve begun to see outcroppings of PSH-style stories, “Heroes” being the most prominent example (note that I did not say “most successful”). 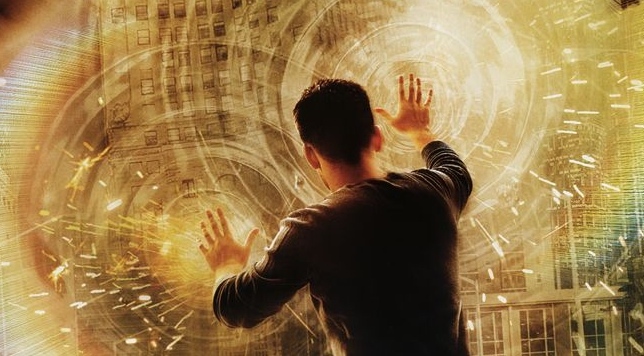 So yeah – Chris Evans using telekinetic powers in a gunfight and Dakota Fanning scrawling poorly-drawn images of the future felt like maybe we were going to see an interesting PSH flick, an action movie that happened to feature everyday folks with superpowers. Unfortunately, it seems that somewhere along the screenwriting process, someone decided moviegoers weren’t going to be able to figure out What’s Going On With All Them Superpowers. The abilities the characters in this movie exhibit aren’t unheard of to most people. Clairvoyance, telekinesis, mindreading, hypnosis. All mental powers that have been around long enough to be fairly easily understood by the vast populace. But Push decides to explain it anyway, via Dakota Fanning delivering a massive info-dump during the opening credits – how it all started as a Nazi project to create superhumans, how other governments ran with the ball, et cetera, et cetera, et cetera. You’d figure that would be enough to clue viewers into the basic premise, but no. The next half-hour is devoted to characters who clearly already understand what’s up explaining to each other what they’re doing and how they’re doing it – ostensibly for the benefit of the viewer, who probably already basically understood what psychic powers were like. Except we’ve got all these new terms to learn! Got it? It’s okay if you don’t, because the movie will interrupt the plot many, many times to make sure you understand what each power is called and what it does. At about 40 minutes in, my writer-brain started wondering how the movie could’ve better explained itself (since it didn’t seem confident in Fanning’s opening monologue). It took no time at all to realize: it needed an audience surrogate. A person new to the whole situation, who doesn’t know what’s happening or how anyone’s doing all these amazing things, and must be quickly brought up to speed by the leads. 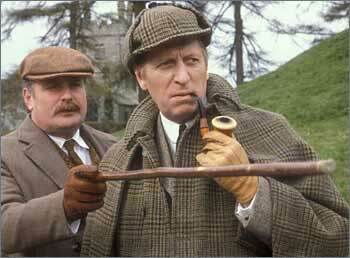 It’s such an old trick – it is the primary purpose of Dr. Watson in the Sherlock Holmes stories, for instance – and so often used that it’s a bit of a cliché. But does that mean it should be abandoned? A while back, Braak had been wondering about the most effective means of recapping a previous plot element in a follow-up story, and I recommended the audience-surrogate. But I didn’t feel good about it, because…c’mon, it’s just too easy, right? 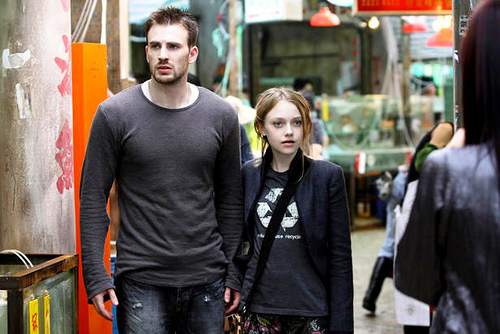 But think of it this way: Had Chris Evans and Dakota Fanning and their totally normal buddy GARY been running from the bad superpowered federal agents and GARY stopped to ask, “Jeez, what are they doing? !” and Dakota Fanning then quickly blurted, “They’re Wipers!” and dumb ol’ Gary stopped some more with the follow-up question, “What the hell are Wipers? !” it would’ve given Fanning a logical, in-plot reason to tell him what Wipers do (bonus points if they’d had some Slavic guy say “Dey vipe de vindows!” But I digress). Now, granted, the next step would be to write Gary the audience surrogate as a fully-fleshed-out character in his own right, but, baby-steps, y’know? So watching Push wasn’t an utter waste, because it taught me this lesson: just because a narrative trope is easy to use doesn’t necessarily mean it shouldn’t be used. And that’s…one to grow on. I didn’t know that that was called Post-Superhero. I am saving that, because I have AN IDEA!!! I also definitely felt like the one thing that Push was missing was a guy named Gary. Just some regular guy, getting dragged around with the psychics. Like Rob Schneider in Surf Ninjas. This may mark the first time anyone has suggested adding Rob Schneider to a movie in an attempt to improve that movie. I should also point out that while it is a bit of a cliche to use the audience surrogate, it can be done pretty seamlessly on occasion. I honestly don’t know what “FreakAngels” (www.freakangels.com) would be like without Alice, the only nonpowered character in a 12-person cast (who otherwise all grew up together, compounding the issue). I think Surf Ninjas was the only movie that has ever been improved by the presence of Rob Schneider. So. We’re talking about “Surf Ninjas”, here. Matters of “improvement” or “non-improvement” hold no relevance in that zone.